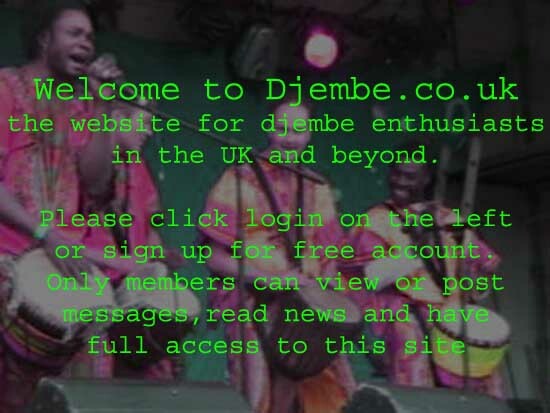 New Jembe & Doundoun classes starting next Thursday 4th October at Kew Bridge (arches on North side W4 3NQ) opposite train station; many buses 237, 267, etc; parking in Strand on the Green. Time: 7.30pm to 9.30pm. Same price: �7.50 + �2.50 drum-hire.